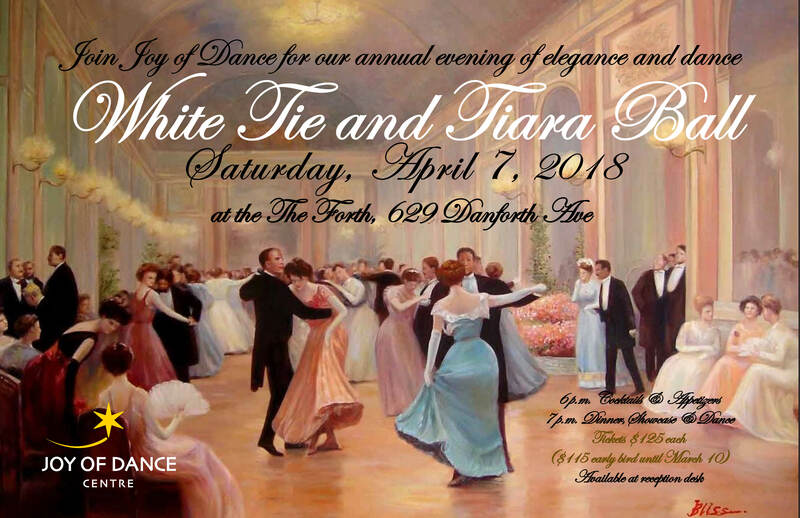 Join Joy of Dance for an evening of elegance and dance! Wear your jewels, bow ties and crowns. Time to feel like royalty just before Prince Harry’s wedding in May. Many performances by your fellow students and teachers & great appetizers and sit down dinner, followed by general dancing and performances. Go to Facebook event page.